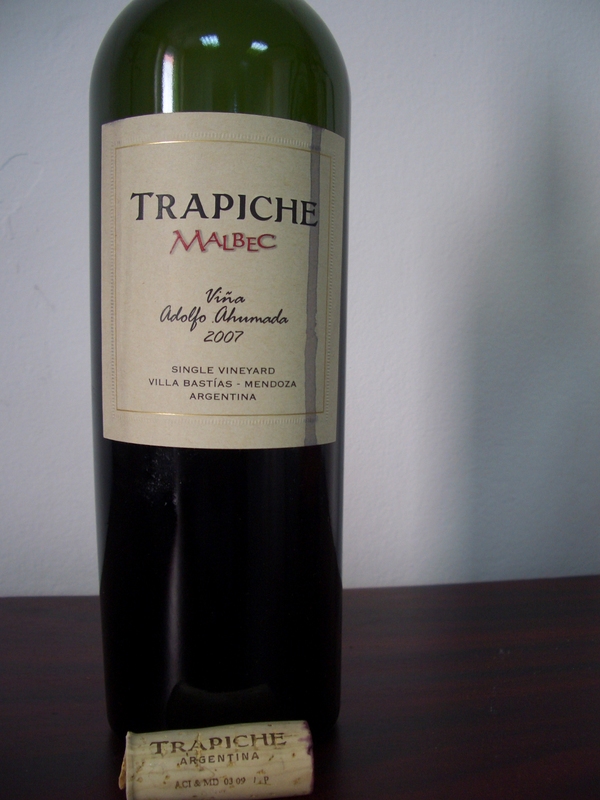 This is one of the three bottles released by Trapiche in 2007 as a part of the Single Vineyard collection. 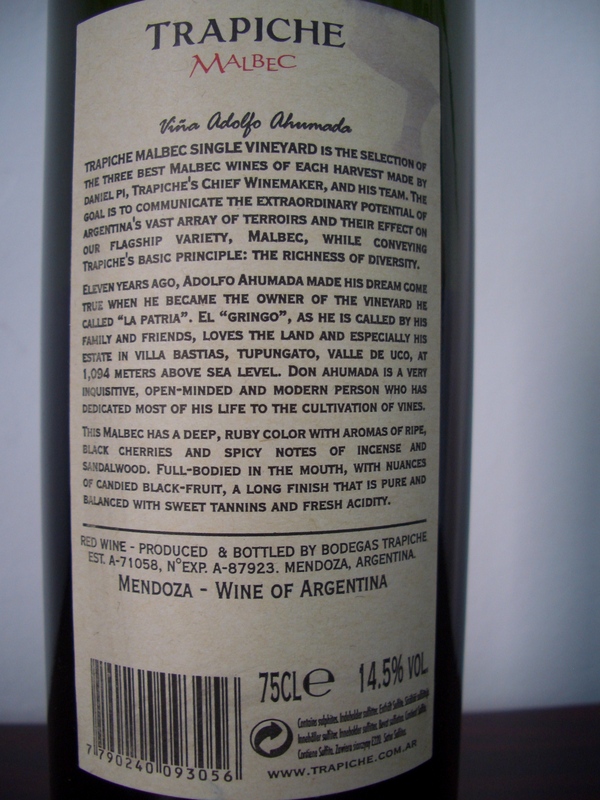 The Single Vineyard is Trapiche’s flagship selection of the best three Malbecs produced each vintage from the areas they harvest. I have tasted their 2004, 2005 and 2006 releases so my expectations were high as all those three vintages produced delicious wines.Each of the three wines from the Single Vineyard collection spends 18 months in new French oak. The Vina Adolfo Ahumada 2007 was decanted for 40 min which was too short unfortunately. The color is dark red with purple hues. The nose is youthful, oaky with coconut, vanilla, ripe blackberry, chocolate, dried plums, sandalwood and tobacco. In the mouth the wine is medium plus body, with sweet vanilla, ripe tannins, and plenty of ripe almost candy like spicy red and black cherries. The wine finishes sweet with a medium aftertaste. The wine is still very young at this stage but further bottle aging will bring balance and harmony to this 100% Argentinian Malbec. Still a nice and approachable New World wine already. It is recommended to decant the wine at least 2 hours prior to serving.